The airport’s first vegetarian restaurant is among 50 food and retail venues being rolled out over five years. Café Flora owner Nat Stratton-Clarke said running a restaurant on the other side of the airport-security checkpoint brings new challenges, but is worth the effort. Seattle-Tacoma International Airport will have new local dining and retail options next year, but local seafood purveyor Ivar’s won’t be one of them. Coveted leases in the airport’s expanding concourses — which saw 46.9 million passengers last year — were awarded to groups that will operate local restaurant brands including Skillet, Sunset Fried Chicken and Caffé D’arte, the Port of Seattle Commission announced Wednesday. They are expected to open in 2019 and 2020, along with six other new restaurants. 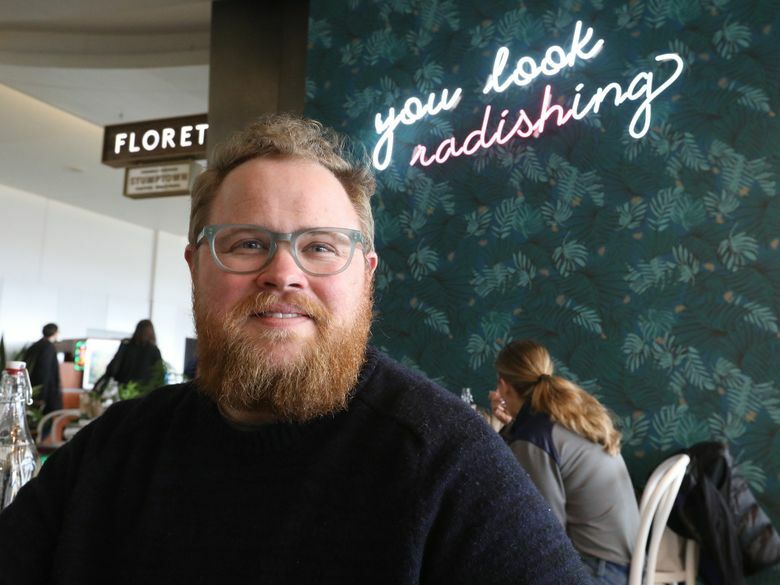 Another local restaurant, Floret by Café Flora, began serving last week as the airport’s first vegetarian restaurant, one of eight new restaurants that previously won leases and are expected to open this year. Floret by Café Flora, Qdoba, Starbucks Evenings, Rel’Lish burger lounge, Papa Woody’s, Stone House Café, Camdenfoodco., Le Grand Comptoir, Capitol Hill Food Hall, Ballard Brew Hall. 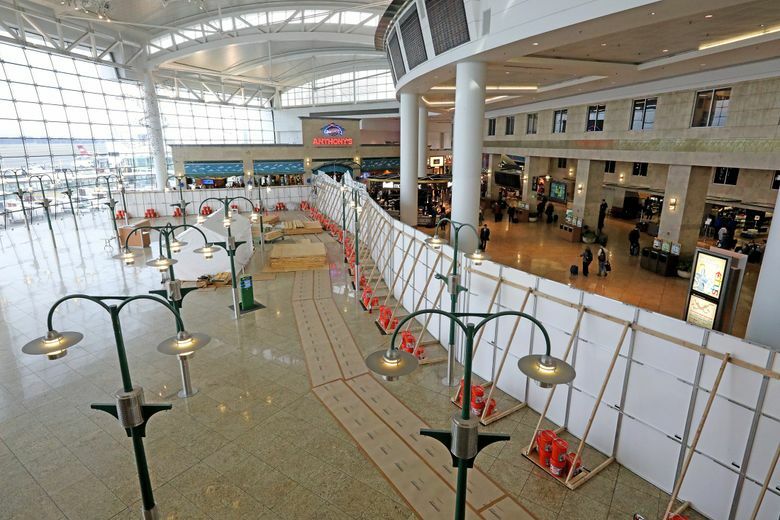 In all, Sea-Tac will add some 50 new food and retail spaces as a series of renovation projects are completed during the next five years. The first of these, a renovation of the Central Terminal, began last week. Café Flora owner Nat Stratton-Clarke said he had been thinking about expanding when an outreach campaign from the Port helped convince him that Sea-Tac Airport would be an ideal spot. But building and running a restaurant on the other side of the airport-security checkpoint brings new challenges, and costs, to an already difficult business. Just winning the lease for a 2,000-square-foot space with big windows at the intersection of the A and B terminals was an undertaking involving 300-plus pages of business plans, menus, schedules and other supporting documents, he said. “It’s a very vigorous process the airport has in place to make sure they get the right candidates in the right places,” Stratton-Clarke said. The Port of Seattle is in the midst of a multiyear program to lease out groups of airport retail and food-service locations. At stake are chunks of prime real estate, providing businesses with access to a captive audience of millions of hungry travelers each year. In 2005, the year Sea-Tac opened its renovated Concourse A and Central Terminal, with its six-story window-wall overlooking the runways, the airport transitioned from a single food-service provider to multiple providers. Ten-year lease terms came up in 2015 and, after some short-term extensions, the Port is now entering new 10-year contracts that will bring local chefs and businesses to Sea-Tac — though many of the principal operators of these businesses are the same giant concessionaires, such as HMSHost, that have long dominated the airport. The Port says the restaurant concepts and retailers selected reflect an evolving airport-leasing process meant to “advance a Pacific Northwest sensibility” and “create opportunities for small, local and disadvantaged businesses,” among other goals. But the challenges for small, independent operators such as Stratton-Clarke are substantial, which is why many of them have entered the airport through joint ventures with large, established players. Once selected, airport concessionaires must shell out for construction costs that can be several times higher than normal. They have to commit to long operating hours, 365 days a year. They must shepherd their employees through background checks to obtain an airport-security clearance — a process that can take anywhere from three days to two weeks, Stratton-Clarke said, whereas someone he hires to work at Café Flora can start the next day. Suppliers, too, must be able to pass security. For Stratton-Clarke, who is used to buying flats of strawberries and bags of chanterelle mushrooms directly from farmers and foragers at Café Flora’s backdoor, operating at Sea-Tac has required some adjustments. “There’s no back door to the airport,” he said. Floret has helped its farmer suppliers get their own airport-security clearance so they can deliver fresh produce to Sea-Tac. It was worth their while, and his, Stratton-Clarke said, because of the volume Floret can commit to buying to serve airport customers. In 2016, the airport’s 50 food and beverage outlets had gross sales of more than $164.7 million. Ivar’s, which has operated an airport location since 2005, took in about $4.6 million of that total. But it was among 37 unsuccessful bidders vying for a new lease last summer. Even after the Port changed its scoring process for the latest group of leases to give greater weight to small businesses and local restaurant concepts, Ivar’s still missed the cut. “We’re disappointed,” Ivar’s President Bob Donegan said in a statement. The company was not considered a small business under the Port’s lease process. Ivar’s declined a request for an interview. Ivar’s, along with other fast-service food vendors in the Central Terminal, shut down its Fish Bar before renovation began there last week. That construction will include a barrier blocking views of the airport’s window wall through at least early 2019. The $16.8 million project will add mezzanines including some 10,000 square feet of new retail and restaurant space, and is expected to be completed in late 2019. Ivar’s will continue to serve clam chowder and other items from a limited menu at a kiosk nearby. It will also continue to provide chowder to the SeaTac United Services Organizations lounge as long as it remains in the airport, the company said. Ivar’s will be out of the airport by early 2019. Benjamin Romano: 206-652-6593 or bromano@seattletimes.com; on Twitter @bromano.